Home / General / WY Mule Deer: Stop the MADNESS!!! Wyoming’s hardest hit winter ranges from the winter of 2010-2011. THE TIME HAS FINALLY COME- to change the season/quota/tag allocation structure for Wyoming’s mule deer licenses. Actually it’s long over-due, but play along with me a little bit here… We can’t change the past, we can only focus on the future at this point. 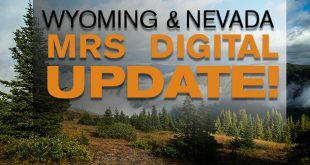 While working on the MRS section for Wyoming deer it continued to be evident that Wyoming needs to do something to curb the pressure on the mule deer herd here in the Cowboy state. Attached is a map that I cooked up showing where the winter kill was the worst during the epic winter of 2010-2011 which left our deer herd in even worse shape than we have become used to over the past five to ten years. Even after such a winter the Game and Fish did not hardly budge a single tag quota for the 2011 season. Looking at the data and answering floods of calls and e-mails loaded with feedback from the fall hunting season got me to thinking. Thinking about a better way to allocate and structure the mule deer hunting seasons here in Wyoming. A way that would put more control into the hands of big game managers and would allow for better hunting, better management and a better outlook for the deer herd, particularly in the Western and Southern ends of the state. In my opinion, Wyoming needs to do three things. First we need to put resident deer hunters on a draw system statewide and scrap the general deer tag system. It works, Colorado did it and we can too. This would allow the state to completely manage the Western deer herd instead of just managing the non-resident hunters. Non-resident deer hunters make up less than 40% of the deer hunting pressure equation. Only controlling 35% of an equation is not control, it’s wildlife management anarchy. 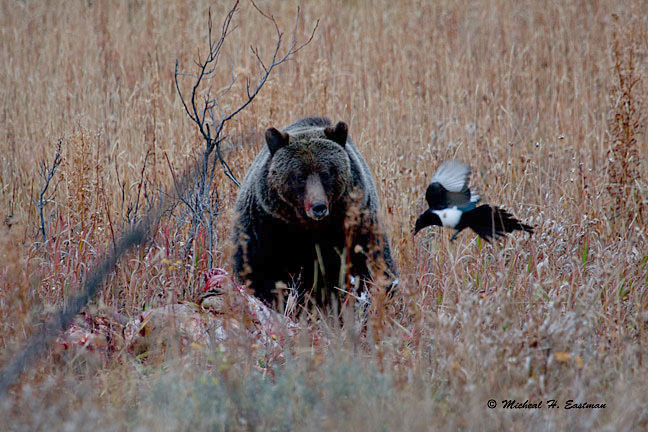 The second thing Wyoming could do is split up the seasons inside the high demand Regions like G, H and K. We could offer an early hunt from September 10th to the 25th on a limited draw basis. This hunt would be very limited, only 250 total hunters in each region. Then offer a second season from the 5th to the 25th of October with more tags allocated. Somewhere in the range of 1,200 for each region total. Then if the deer herds are healthy and doing well a third season permit would be offered for a November hunt from the 1st to the 10th with only 100-150 tags total in each region. This would get the more serious trophy hunters out of the October pool and into one of the other higher demand pools. Making more room for the recreational type hunters to hunt in October. There would probably be left over tags for the October hunts. The archery seasons would run from the 15th of August until the 1st of September and anyone with any of the three licenses could hunt that season. And the final piece to this solution would be to convert two or three units inside the better mule deer regions to limited quota only areas. This would not only get the even more serious trophy hunters out of the “Region” pool, but would allow for large mature bucks to slip through the cracks and travel down to the winter range to breed does each December. Which would essentially ensure a healthy, mature breeding stock of bucks onto each winter range every year. Once the bugs were worked out these LQ areas could be rotated around about every three or four years to make things interesting and blend the gene pool a bit. Of course added to this, Wyoming would need to institute a preference point system for Wyoming residents. These are just some of my initial thoughts on the subject. I realize this is a very tough subject to tackle and can be a barrel of fish hooks so to speak, but Wyoming has to do something soon. The data is not looking good, but all is not lost. Colorado brought their deer herd back from the brink over a decade ago. It was a tough pill for them to swallow at the time as well, but it worked and has produced the best deer hunting and the healthiest deer herd on the planet as a result. If you have any thoughts, concerns or additional ideal post up a comment. These are just the rambling of one man at a desk watching the Wyoming wind blow out the window. Let’s here what you think. Thanks for reading the Blog and good hunting. Next Field judging spread on a mule deer buck. Thanks for watching out for the Mule deer. I live in Western South Dakota just outside of Rapid City and can tell you that a very hard winter has been deeistating to the deer numbers in the Black Hills. They will bounce back but it requires everyone that hunts and manages our wildlife to get on board and preserve this wonderful area for future hunting. Always enjoy your point of view and thanks again for your conservation efforts that proves once again how sportsman can be part of the solution. I think that is a great idea! The only problem is Fish and Game are in it for the $$$ anymore. If they really cared for the Mule Deer like they say they would listen to hunters and not to Politicians. Guy your ideas are sound but they fall on deaf ears in Wyoming Fish and Game. Well written, Guy. You hit the nail on the head! Thank you for your concerns for the health of the Wyoming mule deer. I would like to see you start an online petition that can be forwarded to the Wyoming Wildlife Department so they understand our concerns and how serious the hunting community is about the health and welfare of the mule deer. 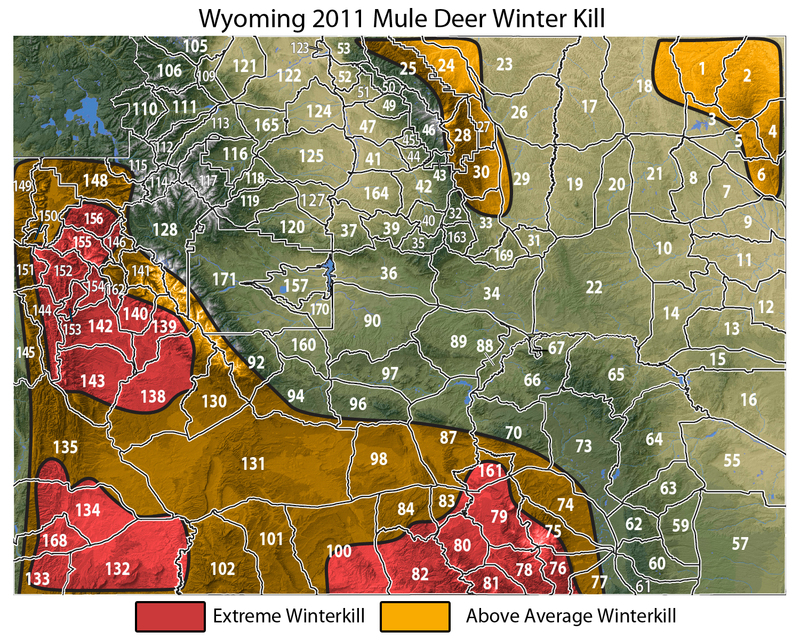 I agree that the mule deer in Wyoming, especially in the Wyoming range were hard hit last winter. The number of deer seen during the fall was way down. First thing to do is get rid of the doe licenses. Leave the does to be bred by whatever bucks are around. That is where you will get the fawn growth. Second is to shorten the season. Why not go back to the later and shorter deer season. This will also help the elk archery hunting. Third is to instuitue a 4pt or better rule. Fourth is to permanently solve the predator issue (i.e. Wolves, Grizzly. etc..). I am hesitant to have a preference point system for residents in Wyoming for deer. The resident elk will be next. It is already difficult to get an antelope tag. 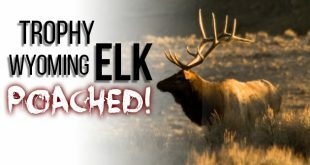 I am a Wyoming resident and a 4th generation Wyomingite and treasure the right to hunt elk every year on a general tag. If we go to a preference point system we will get to be like Utah or New Mexico where people only hunt elk every few years when they get a tag. Resist the elitest movement that is occurring in this country when it comes to hunting. We need more hunters not less to offset the ANTI-hunters. Unlike you Guy I do not have the opportunity and financial means to hunt multiple states each year. I have had a resident general deer tag for the last 20 years and have “eaten” the tag all but a few years. I buy it just in case a P&Y or B&C deer crosses my path during archery season. I just finished reading the Wyoming Mule Deer Initiative and the Wyoming Range Mule Deer Herd Plan. Seems Wyoming didn’t learn anything from the failed Idaho Mule Deer Initiative. Or, Wyoming just wants to think they know best and make the drive down the same old rutted road. Meanwhile, Wyoming wants to put deer recovery costs on the pocketbooks of nonresidents. Petroleum companies are responsible for the greatest habitat loses. Which translates to greater winterkill. All of the extreme winterkill areas on the map coincide with petroleum/gas development and production. I agree with you 100% I also beleive Idaho needs to this in some areas also. Calif hunters need to draw for areas that are populated with Muleys. I am a subscriber to EHJ and it is my favorite subscription. I always enjoy what you write and find you very knowledgeable. I am a non-resident Wyoming deer hunter from Pennsylvania. I have hunted Region A, Area 2, for five (5) years in a row on the General Tag which allows me the choice of taking a mule deer or whitetail. I noticed you highlighted said area as having an above average winterkill, however I saw a nice increase in mule deer sightings this fall as compared to previous fall seasons. I saw some of the biggest mule deer bucks I have ever seen this year, but being addicted to whitetails determined what I shot. I agree the winter snows and temperatures were extreme last winter, but I can’t agree that it affected the mule deer herd on the two ranches I hunt. Yes, I do hunt DIY on private land, so I can’t speak for the public land. I enjoy the choice this tag gives the hunter which allows “US” some of the mangement choices based on the quality and quantity of bucks we are seeing which dictates wether we harvest mule deer or whitetails. I saw Game & Fish lower the quota of deer tags for Region A in 2010, and personally don’t wish to see it lowered any further at this point. However, I can understand if they don’t return the tags to previous levels as they see and study public lands. Sounds like Wyo is having the same issues as Idaho. As a Wyo nonresident hunter, I like your ideas on season changes with the exception of the Archery season. Aug 15 opening date is ok but ending the season on Sept 1st does not allow a long enough season to be very successful. Other states allow the Deer Archery season to go through the end of September. Sept 15th would not be too bad, but the 1st is tooooo short for an archery season. I thoroughly enjoy both of your Eastman’s Journals. Keep up the good work and keep supporting the animals that we dearly love to hunt. Guy, I was one of those who previously reported to you just how bad the Muley hunt in Unit 102 was this past season. It will be DECADES before the WY mulies recover, even if WY DGF follows your suggestions. My suggestion is for all Hunting magazines/tag application companies to just come right out and make it plain: Nonresidents need not apply for WY Mule deer for the next 7 years! Only a huge drop-off in non-resident applications will wake up the WY G&F. If the money keeps flowing, they will sit on their hands and rake it in. My other suggestions: 1. Cease doe hunts in western units for the next three years. 2. Have WY institute a “tag give-back” method (as Colorado and Nevada now do) where after a bad winter, a tag could be given back to WY and preference points retained. With both CO and NV, to give a tag back means you eat the tag fee for that year, but would I rather eat a tag fee than burn my points on a crappy hunt after a horrendous winter-kill. DUH ! I agree with guy 100%, and think that wdgf really needs to manage the deer hunting in a controlled manner even for residents so some general region areas wont get hammered as bad by a flood of general residents,,,even though some people would object it would really help the deer out on bad winterkill years especially.guys idea is right on the money for what the mule deer need and also good for “throphy hunters” the limited tag option at other hunt date times to make a real quality hunt. Good proactive approach to solving a continuing problem. I live in Oregon and I think that Oregon Department of Fish and Wildlife are managing mainly for revenue. We see winter kill situations in previous years similiar to what you have stated here. Some of our deer units have issued entirely more tags than there are deer in those units, therefore your only opportunity is usually a small forked horn or 3 point, if you are lucky, while not letting the deer grow to maturity. Of the few trophy units we do have, you must have at least 10-15 preference points to draw. Earning one point per year it takes quite a while to even hunt those units. Keep up the good work, we members appreciate your knowledge and insight. Solutions seem like common sense but somehow the managing agencies don’t or won’t listen to the greatest conservations which are the Hunters themselves. you are right on the mark, something has to be done. i am from western colorado and yes it was a “tough pill to swallow” however, we are seeing a drastic increase in mature healthy deer heard here now. especially since they did away with the 4 pt or better rule on bucks. We think alike,Guy.A buddy and myself have come up with several scenarios for spreading out hunting pressure,including a unified opening day for sw Wyo.We also attended the Wyoming Range Initiative meetings,which,IMO,was a waste of time.I don’t know whether G&F was just putting on a show,or they were really interested in what the public had to say,but absolutely nothing changed for the 2011 hunting season.I am just about done going to any public meetings put on by G&F.It’s very frustrating to hear the same thing from them year in and year out.Things are different than they were 10-15 years ago,but G&F continues to keep their collective heads in the sand.I like your ideas(with some tweaking).What’s wrong with thinking outside the box? ?Let’s try something new!What could it possibly hurt? I have hunted Mule Deer as a non Resident in Wyoming and frankly the cost of a Non Resident Tag just isn’t worth it any more for me. I grew up in Eastern Washington and have lived in Michigan since 1967. The cost of a Non Resident Whitetail tag is under $200.00 the cost of a Resident is $13.00. We are allowed 2 bucks and an unlimited number of antlerless deer tags and still cant kill enough of the deer because they live in city areas where no one can hunt. Blue tongue took down several hundred in a neighboring county because of over population. Not sure what Wyoming can do but limiting tags can only help for a short term solution. Whitetail will run the Mule deer out if you dont get a handle on them. I am a Wyoming resident and for the past two years have been called by the Game and Fish for a phone survey. Each time I tell them that the deer population is suffering and a better management solution needs to be put into place. I think you have great points and this draw would allow for better management. It would make it a little more difficult to some some to hunt their “secret spot” but realistically, if we don’t do something quickly there won’t be anything to hunt. Guy, I’m a lifelong Wy. resident and I believe limited quota areas would be a step in the right direction. I don’t like the preference point idea at all and think it should be done away with for all species! !I’ll never live long enough to draw a sheep / moose. These tags should be a once in a lifetime random draw, as the goat is.I believe deer in LQ areas should be a random draw also. I also feel NR shouldn’t be guaranteed 25% of the tags. No other western state does that.TXS..J.D. I disagree when the non resident hunting boom hit! I hunt the hoback there is more nonresident hunters than Wyoming hunters! Bow hunters make up 7.5 percent of the annual harvest for deer. Why not elamate the end of October rifle hunts and let the archers have at it. Tags still are purchased WY hunting revenue stays the same less deer are harvested. I have bow hunted south central WY for the last 3 years see 50 to 100 does and fawns a day pass on a lot of small bucks and manage to see an awesome buck or two every year.Only to see the rifle hunters shoot every fork that they can see from there truck. To make the bow hunters hunt in the summer when its 90 dgrees with the rifle hunters that choose too makes no sense at all. 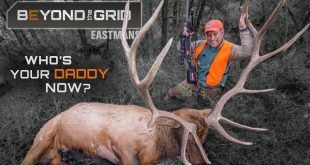 Eastman magazine is the finest hunting publication out there for the DIY hunter between that the videos and the shows seems like a great place to spread the word . It seems to me that would go a lot further than the game and fish is willing to go cause after all it’s all about the revenue. Sorry if this seems like a bow hunters rant…..
youve did your homework on the draw system. Now it should be taken to the wyo fish and game. It all boils down to money for tags, its big revenue for the Wyoming Fish and Game. Maybe possilbly get some politicians involved and they might get the ball rolling. Thanks for the Journal and all your hard work and a great magazine…. Guy, I wish the Game Department here in the state of Washington would hitch on to some of your ideas. One of the first things Colorado did was cut mule deer doe tags drastically in the affected areas in the year following the bad winter of 2008. Buck tags were also cut dramatically. The herd has recovered well here in Eagle County. You can do all you want with limited draws and cutting buck tag numbers but protecting breeding does should be at the forefront of any recovery effort. Cut doe tags, more does, more bred does, more bucks! Im a nonresident that pretty much gets to hunt the west Bighorns every year, so I appreciate the opportunity Wyoming creates for no residents. I am also in favor of state residents being able to hunt every year. Maybe some of the better/more vulnerable general regions could go to resident draw with no points, and leave most of the rest over the counter. I’m with Guy on the Mule Deer doe/fawn hunts…that is insanity, but the whitetail does seem to be a good opportunity for meat guys needing to not go empty handed, nobody seems to want the whitetails around anyways, private land permission seems easy to get for whitetails only. What about a three point rule? I agree with the argument against the four pt. rule, but the young bucks need some protection too, those guys where we hunt kill spikes and fork bucks left and right. A three pt. rule would maybe protect the young bucks and also keep good 4 pt. genetics. I like how they seem to manage some areas for opportunity, and some for trophy quality, as to satisfy different types of hunt demand. It seems like they may have good intentions, but obviously need to tweak things. Obviously the state likes the money, but the biologists I’ve talked to and dealt with at checkpoints and so forth seem to care a great deal about the game management. Game managers probably have to try and make everybody happy, and that has got to be tough, somebody will always be mad. I agree with you Guy. There is a major problem with the mule deer herd in Wyoming. Your ideas are definately a good starting point, and i also agree with the idea that we cannot shoot does. I personally buy a general tag and bowhunt for mule deer in september, and if i don’t kill a mature mule deer i hunt whitetails in November. They will run mule deer out of an area and anything i can do to help i guess is productive. Also anyone who thinks a point system does not work has not done their research. If you are patient and do some research it is successful. I have been putting in for an elk are with a 35% draw rate for 15 years and never drawn a tag, but get to watch people in that same time draw it 9 times. That really seems fair too. To change game management for the better at the Wyo Game & Fish Dept we must first change the dynamics. The Director is appointed by the Governor and is an “at will appointee” so he has no spine, and cow tows to the Governor, agriculture, and industry (oil, gas and mining) as the Governor wants his appointees to support his initiatives. The same can be said for the Commission, governor appointed, look at their backgrounds! The legislature has NO say! Funding comes from license revenues, not legislative appropriation, yes, they approve license increases but nothing more. So talking to a State Representative or Senator is wasting your breath. Raise hell with the Governor! The Director and Commission work for him and he can get their attention. We obviously can’t and haven’t had their attention for 20 years. I seriously question the current Director, who in my opinion is nothing more than a inexperienced “yes man” to the Governor and his agriculture interests and roots. Youth is usually easier to push around and manipulate, placing financial dependence and career ahead of “right and wrong” thus his appointment by the Governor was easy. If he stands up and does something against the grain, I will eat my words and would love doing so! Contact Governor Mead, With enough pressure maybe he will help? Great ideas Guy. People have had similar, good ideas on this subject for a long time, but nothing happens. Given the quality of the resources that WY offers, I find their regulations and season structures to be very non-creative and very old school. Somebody needs to figure out how to ratchet up the pressure on the folks at F&G and in state government that can make change happen. A lot of the rank and file folks at F&G already agree with these ideas, but they need to be pressed at the highest levels and in an organized manner. Are you up for it? I am from Pa. and hunted Wyoming near Cody in 1997,1999,2001 and 2003. I took a hybrid 3×4 in 1997, a whitetail doe in 1999, a nice 22 1/2 ” 5×5 mulie in 2001, and a mulie doe in 2003. I didn’t like the point restriction then, as I passed up a mature 3x3mulie to take the hybrid. I had Region F general tags each time. We made good friends with many great Wyoming Residents and still have friends there today. Does an Anti-Non-Resident sentiment exist, because I never felt any resentment. We pay a cost that , for me is somewhat exorbident, but I could only hunt every other year. It has been 8 years since I hunted there, and was planning on bringing my son out to hunt for his 16th birthday present , but hesitate to do so if we are ” personna non grata ” !!! I am perfectly happy shooting less than trophy animals. Case in point, my Dad took a mulie buck that was a 2×3 that G&F said was very old, 6+ yrs. It was a trophy to all of us, as he kept this old guy from probably dying from winterkill, to a place of prominence on his wall & table! Not most guys idea of a trophy, but he’s as proud of that deer as any he’s ever taken, and YES he got it mounted!! I have a friend that lives in Afton who lives to hunt and is in the field almost every week-end of the year. He’s a trophy hunter and is usually successful. He told me last year that the wolves have taken such a toll that it would be a waste of a draw to deer hunt Region G. I didn’t even bother to put in for a license. So lets hear more about the toll the wolves are having on the herds and what should be done about it! I’m a resident of Idaho who quit mule deer hunting in my state 15 to 20 years ago because there were so few deer. I went to many ID F$G meetings over the years and expressed my opinions that something needed to be done to help the mule deer. I also sent emails to the F$G Commissioners. Nothing has changed. I believe the only way to get change would be pressure from a large, united, and well organized group of hunters. Eastman’s may be the ones who could pull it off. I agree 110% & would also cut the permits in areas 101 & 102 down to 100 max in each area & implement a 4 points or better in all of the Wyoming Range. I agree with Guy’s proposals. I hunted Region G in 2010 for about 10 days, including preseason scouting. The best buck I saw 1 buck might go 170 2 days before season. I was seeing 20+ bucks per day but they just weren’t trophy’s. I was amazed at the quantity of deer but disappointed with the quality. I hope you’re able to get the Wyoming F&G’s attention and they do something to get the deer numbers back. I’ve attended some Idaho F&G meetings and they’re hopeless. Most of the good mule deer hunting in Idaho is beyond repair. I think you hit the nail on the head. I would give up my deer hunting every year for a chance at a better deer. Keep up the great work. Now if you could just get the WY Game and Fish to listen……. Guy , your right on the $$$$$. I live in Idaho and we have the same problem but have experienced a larger decline . The F & G are deaf to our requests. I have been beating the drum as much as I can , trying to stir up the sportsman and organize. Stop shooting the forky’s and Stop shooting the antlerless. The goal should be to double the Mule deer population in most areas of Idaho and Wyoming and increase the age of our bucks. STOP HARVESTING THE ONES THAT MAKE THE BABIES !!! Colorado has a mule deer plan that would work in Idaho and Wyoming. Some good points on the Non-Resident seasons and going to LQ system for Resdident. I personally hate the preference system in place for Moose and Sheep. You’re telling me someone with 12 non max pts has the same chance as someone who just put in?? Ridiculous! The system should be weighted. 5 points and you get 5 entries, for mule deer, sheep, moose and the current LQ elk units. And is it so bad for someone to wait 2 years if they draw a 102 tag or a similar trophy unit? There are very few LQ mule deer units, at least increase the number of LQ units, label some trophy and have a sit out period. The Killpecker Dune deer unit would be a great LQ unit for deer just as it is for elk. Well, the wolf folks are seeing their dream come true…hunters now have to promote reduced hunting opportunities. A very sad state of affairs. We need to find a way to drastically cut back wolf predation. I know, this is nearly impossible, but there must be a way. Lets put a preference point and draw system for Wy residents, and stop non-residents for a few years. Maybe you should ask how much money is spent each year in your state by non-residents and see if you can keep your doors open without it. Wyoming residents should demand non-resident tag allocation of no more than 10% (like so many other western states). Wyoming Game & Fish budget restructured under these numbers. Great ideas. But its never going to happen. Wyoming is the only place I hunt. I hunt for my family and we live off that meat all year long. So why take food off my table or other people tables. Don’t get me wrong I love large muledeer and healthy deer. When I hunt its for the meat not antlers. If we don’t have extra doe tags it would not give are youth a chance to harvest a deer every year. First time hunters would have to wait two years years are more for a tag and that’s not good because it frustrating for young hunters and first time hunters to wait that long. I see your point and would agree. Especially if the deer season in Wyoming is an over the counter type of thing. But I live in Nevada and we have a lottery type of draw with a preference point system and our herds are dwindling. I used to see large herds behind our house in western Nevada . Not anymore. The remote places I hunt in Nevada, I used to see deer just milling around on hillsides. A lot of deer. Not anymore. Now I will say that I still see big deer just not as many. I have heard reasons for this a far reaching as human encroachment to cattle to fire to increased air traffic(???). I personally think its the increased number of elk. I can’t see the human encroachment angle. I mean 90% of the state is BLM. Cattle. Maybe, but I hardly ever see cattle when I am out, in any season. What ever it is, its too bad and I wish my state would really dig in and figure out a way to help the deer herds. If they were big horn sheep they would have a golden ticket. They are now relocating sheep into areas that can’t support them. But different organizations are building guzzlers to make sure they survive. I don’t get that. I guess I’m saying that a preference points system and lottery may not be the answer. It hasn’t worked here anyways. Please don’t think I am criticizing. I’m not. I may win a hunt with you someday and I don’t want any bad blood(LOL!!!) Thanks for a great magazine and tv show. I am a police officer stationed down on the border in South Texas and deer hunting here is so expensive its way beyond the means of average working class people. Myself and few Troopers I work with decided to put in for mule deer in Colorado and after two years we drew a tag in unit 71. It was beautiful country but we found out it was an over the counter elk unit and there must have been a hunter camp every half mile or so. It was so crowded on the mountain we decided we’d rather wait 5 years to hunt than go through something like that again. I can see its a double edged sword with either wait for a limited draw tag and have a true wilderness hunt experience or hunt every year with over the counter and deal with huge crowds on the mountain. I don’t like either option but thats the cards we’ve been dealt. This year my Texas hunting group bought preference points for both Colorado and Wyoming and we’re going to build up enough points to hunt in a decent area with not a whole lot of hunting pressure. We now have 3 preference points in Colorado and 1 for Wyoming. What’s sad is my two little boys will probably not be able to experience deer hunting like I did growing up in the Texas Hill Country. I take them duck hunting all the time because that’s free on the Texas coastal marshes and outstanding. I understand residents frustation about nonresidents coming in a flooding “their” hunting area as I’ve experienced that with my waterfowl hunting. Y’all take care and God Bless! Guy has hit the solution exactly. The only way to bring the deer herds back is for everyone to take a hit on their hunting opportunities. I live in centrak Idaho and have sit and tried to help on promoting better deer populations. The same old themes keep coming up. The residents usually do not want any of their opportunities taken its always the non residents fault oe problem. It has been pointed out that 25% goes to non res so that leaves a lot of deer talen by residents. I have heard it here and in every other western state. If everyone does not give a little everyone pays the same price, no deer. The point-preference system does work. You will not necessarily draw a tag every year, but at least you will have a chance a good deer when drawn. Then there are the meat hunters. Funny how this crowd rarely picks up the doe tags but will only shoot the first buck they see. Here is a chance to harvest the old does that do not produce anymore but still take up feed. We all need to pull together to fix the trend of the mule deer decline. Sportsman carry a huge voice but only a collective group. Thanks for letting me rant. It is so hard to believe that Wyoming used to be home to some of the best mule deer hunting in this nation. Now I am not sure it can even make mediocre status. However, the whole system needs an overhaul starting with the game & fish management. It is our dollars that keep them in work and they are not listening us or do they seem concerned. Its all about the money to them. If you think I am wrong just look around and follow the money. Places where you used to hunt, now are longer accesible, due to ranchers who have leased their property to an outfitter. “JUST FOLLOW THE MONEY”. More people hunting, more money. It always come down to money. No I am not against outfitting or ranchers who lease their property, they have that right. But there are still a bunch of us that are ethical law abiding citizens who have been cast aside and are now only able to hunt on public land, more hunters, more money. The game and fish departments realize this and are capitalizing on the situation. As a true hunter (someone who spends time scouting, researching long before season starts). I would and could give up a season or two, or a enforcement of a 4pt. rule, a true preference point system or someway to help and save hunting the majestic mule deer. Because the way things are going for all big game in Wyoming, only the guy with the “MONEY” will be hunting, someones private herd. At this time its all about the money. Lets stop the madness, please. I am from South Dakota where we have limited quotas and a preference system for all big game licenses. This works to a point. You still need the Game and Fish Department to issue tags according to the game populations. We have seen winterkill of deer and antelope in areas, with little or no reduction in the number of antlerless licenses the following year. In some cases this has happened for several years in a row until the game herds hit rock bottom and they have no alternative but to reduce the number of tags, always far too late. Also, the big game herds probably fare better on private land than they do the public land as most private landowners will limit the amount of animals harvested reguardless of how many licenses are issued in a unit. 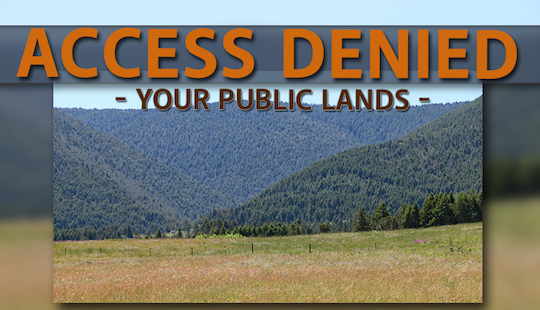 The public land will receive much more pressure. i agree with guy 100%. the control is in our hands; why dont we as hunters take the buck by the horns and stop buying there tags and leave the deer alone for a few years. even if the wyo fish and game wont do it we can. We stopped the salmon fishing in California for two or three years and it really hurt, but now we have the best salmon fishing we have had in decades. I think that the wolves and mountain lions are taking a bigger share of the animals than everyone thinks. Back in the 60’s we shot wolves and mountain lions when we saw them and we had deer all over the place. The Californians are not the root to all evil. I think your plan has some great points.Limiting the amount of tags is probably the best solution.The tough part is trying to keep limited entry units big enough to make people feel like they have some options as wwhere to hunt, but still be able to manage specific deer herds and address localized issues.Your defenitely right about 4pt. restrictions, it did’nt work here in Oregon either.Besides, who are we to tell someone who waited just as long as we did what is a trophy or if they should hunt for meat.If the amount of tags are adjusted right each person could shoot what they chose to as long as they drew the tag.It would leave plenty of mature bucks for breeding,and provide lots of escapement for young bucks.I agree with you on the doe tags too.They should only given out tags in areas that are above management objective.Units for doe hunts probably should be reduced in size and the timing of the hunt should be carefully considered to make sure the deer being taken are the ones that are targeted to meet the herd composition goals.I have a lot more thoughts on this subject, but since I’ve already darn near wrote a novel,I better go! Maybe sometime I will get the chance to visit with you on the subject.Keep up the good work and good luck hunting. Great ideas Guy, now somehow the Game and Fish and the other powers that be have to wake up and start truly managing the deer if quality hunting is ever going to return and remain constant. Just like the wolf issue you are stirring pots that need to be stirred. Totally agree with #43 David’s thoughts, Nevada has been limited and the deer herd is still going down. Habitat, predators, horses, elk. Buck hunting is really not the problem, and it’s not in Wyoming. There just aren’t deer in Western Wyoming that compares to 25 years ago. I started hunting Region H in 1985, early opener units elk and deer. Those were the days, easy to draw, and then the winter of the early 90’s hit, and the deer numbers crashed. But the Fish & Game continued to allow residents to hammer antlerless deer throughout the region. Year, after year, after year until what a surprise most drainages are without deer except in the more remote locations. Duh! They were never given a legitimate chance to rebuilt, instead the does that survived got hammered for another 20 years. Now of course they say the winter range couldn’t support the deer numbers without some reduction, fine, I’m not against antlerless hunting. Control it tightly and do it on the winter range in a very quick limited resident hunt, instead of shooting out areas. It happened! I agree with you Guy with Wyoming needs to do something. I believe that all of your ideas are good ideas but i dont know if the states residents would be ready for such changes, at least not all at once. Its kinda funny because my brother and I were just talking about this issue today and we both thought that at least some general areas should be made into limited quota areas. There are still some big deer out there but they are few and far between, and in turning some general areas into limited quota areas, i think that would help raise not only the deer population, but also the quality of deer. Also take away the “any deer” in some areas, or at least shut it down to that every other year. I understand that there are hunters out there that dont care about the horns and are just looking for meat and want to take a big dry doe, but to keep some areas open like that year after year cant help in populating the heards due to the fact that there will be many hunters that start off looking for horns and on the last day take a doe just to feel better about getting their deer and putting some meat in the freezer. And my last suggestion would be turn many areas into 4 point or better areas. Too many people shoot those small bucks that never got the chance to grow up. Not saying that every buck carries good genes, but for the ones that do, how can they continue those good genes if people are shooting them when they are still a little curious forked horn that doesnt know any better. Let them grow up and make it a real challenge. I used to hunt out of greybull and shell alot and i know awhile back that area was shut down to 4 point or bigger and because of that we saw some big deer and alot of them. Limiting the size of deer people have to harvest and/or limiting the amount of hunters in certain areas by making areas limited quota, or decreasing the amount or “any deer” areas are sure ways to increase deer populations and the quality of deer….The only question is, how do we make these changes? I am not in favor of a limited draw or a point system here in Wyoming for deer. I have been hunting deer in the Wyoming Range for the better part of 30 years. I would much rather not harvest a deer than not be able to hunt one. (I am still working for a Sheep license) For many years I mostly hunted the Greyback then too many nonresidents moved in; then I moved to the west side of the Greys River, soon the same thing happened. Many hunters like me do not have the funds or for other reasons can not hunt other states. I know that the outfitters need the nonresident money just to get by. So here is what I think. 2)Make multiple licenses more difficult or more expensive for nonresidents. I you have hunted Wyoming as a nonresident for 5 to 10 years you probably can afford an increase in fees. 4) Somehow we need to create permanent wintering grounds, that will be forever designated for that purpose. In reality there is probably not any one individual change that will make a rapid change, but we can institute several different options that when applied together may make a significant difference. I think Guy is correct in his plan to help the deer herd, except for one aspect—begin a major wolf and bear season. You can not reduce one predator without reducing all of them. It seems the anti hunting people are successful, they wanted to bring in the major predators so that human hunters aren’t needed and hunting can be stopped. Guy, Thanks for putting this information together. As a non-resident who has been traveling to WY since the mid 90’s for mulies, I can tell you that you need to add units 57 and 59 to your list. I hunt a big ranch down there and this was the 2nd year in a row, they aren’t there. Cats have moved to the area in the last 2-3 years, but have also been a CWD unit for years as well. Something needs to be done. I won’t be buying a NR tag until it changes. Thanks for a great mag/site. I agreed with most of your comments. Then, I read about 55 or so, replies. Clearly, this is an issue, that everyone, cannot come out on top! Therefore- We need to take some losses, with some potential gains/further conservation/better hunting, for mule deer! I can not comment on the other aspects of WY’s system, as I don’t partake! As far as the Deer, here is a ‘blue-print’… It is NOT PERFECT, but it get’s the ball rolling in the correct direction! Create a ‘unit’ system, much like CO/AZ/NV/NM… They are that way for a reason! 2) Determine your Throphy Area’s, and your General Area’s. There is nothing wrong with this concept, as some of the most advanced throphy hunters, will find a place to ‘sneak into’. It will also accomidate, the general hunter, that is looking for meat! 3) Do away with the ‘special draw’! I thought, this was a very nice ‘loop-hole’ in the beginning. I think, it is nothing more than, taking advantage of NR!!! Those that have points, should be rewarded, with 75% of the tags! 5) Last, and not least… Start to encourage, the younger generation, with programs that save money, and help develope lasting relationships to the outdoors, and hunting. Wyoming, seems to be a place I want to hunt… To date, I have built points. I hope to be there someday… I hate hearing all this neg. press….. But, this need’s to be fixed, soon!!! Unless, you want to turn into, a ‘Don’t Apply’ STATE!?!?!? I am a rifle hunter but I want to hunt. Not every 3 years or so but yearly. Most hunters enjoy the whole outdoor experience and are not put off if you do not tag-out each year. Could we not consider making some units that are down on census numbers some form of bow or muzzy only seasons until the heard has time to recover to respectable levels? Advances in rifles and scopes has put a big advantage in favor of the hunter, and I can see no problem in evening out the odds a little by using some form of premative weapon only units to decrease the harvest numbers in units that have low numbers of deer. We might even like the chalange of the premative weapon only hunts and this might allow more hunters to be in the field, while they wait for preference points to accumulate in other units. Glad to see so many people agree with guys suggestions! If only the WGFD could see the light! I would have to agree with the majority of the respondents to this problem, something needs to be done “NOW”. As a lifelong WY resident the thought of not being able to hunt deer every year is not a pleasant one, but what mule deer hunting used to be and what it has become is a travesty. I along with a few others attend as many of the regional G&F meetings as I can. I would have to agree that it appears the G&F is more interested in revenue than the overall welfare of our game herds. But, what can you expect of an agency charged with overseeing both game an non-game animals along with some species that they are not allowed to manage and being only funded by license sale revenue. That might have worked fine in the past, but it’s a new day and age. The cost of doing everything has went up so therefore they have to be concerned with generating the maximum amount of revenue they can. That is recipe for disaster as we can now see. -Some want more limited quota areas, that will only work if WGFD goes to a preference point system, that works better than the one currently in place for Moose, Sheep, and Goats. -Also there should be some sort of waiting period after drawing one of these LQ tags. -Then something would need to be done to spread out or even out the pressure put on any remaining general season areas, because for every LQ area you create you will create additional hunting pressure on any remaining general units in the same region. I don’t pretend to have all the answers to this problem, because no matter what we can accomplish with the WGFD on the harvest end of the equation until we can improve our winter range habitat, we will continually be faced with how do we maintain our deer herds. There are too many Fed. Gov. and special interest groups that have too much control over how land is managed in the state. Perhaps it’s time for a “fee increase” for some of these special interest groups that goes directly on the ground for improving or establishing prime winter habitat. And I’m not referring to so-called mitigation payments made from special interest groups to some Govt. agency that never effectively get put to a beneficial use. Wyoming G&F has had their head in the sand for to many years and are way out of touch with modern day mule deer management. Limited draw for all deer hunts be it residents or non-residents is the first step. There is to much pressure on mule deer in Wyoming and all hunters need to have the best goals in mind for the deer herd. As hunters we need to protect the resource first and not be concerned about hunting a deer every single year. NOW WE ARE TALKING ABOUT POLITICS NOT DEER MANAGEMENT. Most true hunters will hunt even if it means using a spear. That said, instead of decreasing hunting opportunites by limiting tags, why not make the harvest more difficult, thereby increasing survival rates in chosen units. Ban scopes, more archery tags, muzzy tags, fewer rifle tags in prime hunting areas, or prime hunting dates. I am a rifle hunter for 40 years, but now I also have a bow and muzzy to insure I can still hunt. Method of take, or harvest at all, is not the priority. Being in the woods with an opportunity to enjoy the hunt is the priority. Give the game a better chance of survival and let the numbers of deer, elk, moose, etc. recover. What I can’t understand is why WY doesn’t have more archery only tags for all species, especially for non-res hunters. This is a huge money making opportunity to offer more tags ($$). NR hunters only hunt 1 season, why put all that tag pressure in 1 pool making it harder for rifle AND bow hunters to draw tags? They should do the same for resident hunters too. 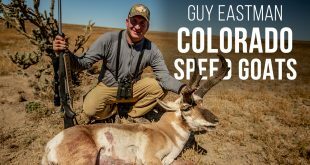 In CO you can hunt both seasons (can shoot only 1 buck/bull) so that doesn’t limit the opportunity, but it would limit the number of mainly rifle guys who hunt the bow season mainly to scout (and because they can). Guy you hit the nail on the head Wyoming has had some great bucks in the past.Wyoming needs to have a draw system for residents if their is ever going to be the great bucks again.Have 3 seasons bow, rifle ,muzzle loader,make them all a 7 day hunt until we see some good results!! Mike, I like your deer season structure for the future. Wyoming residence must be put on a limited draw and get the WG&F out of the dark ages with their deer (lack of management) willy nilly plans. Mike, I think unless the proposed change addresses the department’s budget shortfall it will no be considered. In addition to making residents draw for their tag the department should make them pay for it as well. 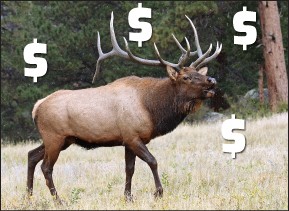 A resident will spend less than $100 each year for a deer and an elk tag. While a nonresident hunter would spend just shy of a $1000 dollars for the same. As a nonresident hunter I am not dependant on hunting Wyoming but Wyoming is very dependant on it out of state hunters. Some interesting ideas Guy. As a Wyoming resident I hunt the Greys River country every year and can attest to the heavy hunting pressure during the early deer season. Obviously the Wyoming herd needs less pressure. I would disagree with limiting tags to the point that I could only hunt every 5 years as a resident, possibly every other. One group that I believe could oppose fewer tags and revenue for themselves is the Wyoming Outfitters and Guides Association. Again many decisions come down to the dollars. Compromises would need to be made but any progress would be good. Also simpler regs would be welcomed by most. It is clear to me, as a non-resident trophy mule deer hunter who hunts all over the West that Wyoming has to take some immediate action to preserve the mule deer stock that it has. The opportunities for trophy deer in Wyoming are dwindling and the population needs a rest from the pressure. 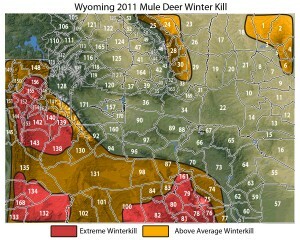 I know it will be viewed as extreme, but I would stop all mule deer hunting in Wyoming for 3 to 5 years at this point. I will not hunt Wyoming now. The last trophy buck I took there was in 2011 and everyone I talked to said I was very lucky. Give it a rest.This species is under extreme pressure and the population of really trophy class deer over the past twenty years has plummeted. The only places worth hunting in my judgment are Senora, Alberta, and Utah. The price for access is very high and the odds of taking a trophy are small. I have seen breeder bucks that would score over 320 in Mexico and I am sure in the next few years we will see trophy mule deer for sale (high fence hunting), as they breed these bucks to whitetail does and sell the offspring. If you are interested in preserving and hunting real trophy mule deer, support efforts to restore stocks and conservative our Western heritage of hunting this truly great species. I am from Colorado. Grand Junction, to be exact. The draw system has worked in some areas of our state, but others, not so much. My thoughts are this, and I’m speaking of Colorado, but it may work in Wyoming also. Is to take an area that is low in numbers, and close that area for a year or two, and see if the numbers bounce back. If so rotate to another low number area and close it off, and so on. The limiting of licenses, and going to a draw system doe’s work, and seems to work for elk. On the flip side of that, is that in some areas it now can take anywhere from 7 preference point’s to 20 preference point’s to draw a tag. But when you do, you can be assured that you are going to see some very good animals. I wouldn’t mind if Wyoming instituted a preference point system for residents. I think to offset this, Wyoming would have to lower the percentage of tags allocated to non-resident hunters and potentially raise the resident application fees (or price for preference points). I think that is about the only way you’ll get Wyoming residents to go along with the idea. I don’t see the same issue with general elk permits. The elk population continues to increase (at least in areas without wolves), so I don’t see a need to get rid of the general elk tag. Keep talking and writing this stuff Guy, you’re spot on. I live here in western SD and have seen our wildlife virtually disappear, especially antelope. After 3 bad winters and all the animals migrating or dying, the G & F should have closed the season. They have finally started to reduce tags but it is too late, they should have cut way back a couple years ago. The deer and elk tags are way down now because of lions and too many tags issued years ago. I just can’t figure out why common sense doesn’t prevail with the G & F Departments and they manage with biology, field data and keep politics and greed out of it. It is supposed to be the public’s wildlife, right? I lived in Wyoming for 12 years and the game populations and prices for a NR tag really upset me. As a 47 year avid hunter and resident can attest to your comments about over pressure are on the mark. However, the wiley outfitter is primarily to blame for the increased pressure and decreased opportunities. They have over hunted the premier areas. Every canyon in region g and h is filled with either non residents or outfitters trucks and trailers. The areas that used to be outstanding are now mediocre because everyone is so focused on the few bucks that remain. Also, “fair chase” is going out the window with some outfitters flying airplanes in every area possible to scout and hunt the monsters. Too many of them have let the mighty dollar rule the management. As far as believing that we cannot do without the non-resident dollar; not so. Wyoming has many resources. Allocation of this energy revenue could take the pressure for money off. It is crazy to say that non-residents should get 25% of the tags! Wyoming residents deserve 90% of the tags if you go to a draw for everyone similar to other states. Less non-residents and less outfitters would be a great thing in western Wyoming. The facts are that the game and fish is unwilling to stand up to the pressure they constantly face from outfitters to make a lucrative living in three months each fall. The outfitters demand longer seasons with multiple openers and a disproportionate number of nonresident tags to feed their greed. There are way too many outfitters too. It is frustrating to see all the trucks/trailers and area the outfitters have gobbled up by selling their camp while keeping their day use. What a travesty to the deer and resident sportsman. The flying issue is out of control in regions G and H. The almighty dollar is getting the best of some outfitters. The real losers are the deer and residents again. Are you seeing a pattern? The Wyo. Range Herd is in major trouble. It will take a focus on the quality of the hunt and not the bank account of the outfitter to turn this around. Sad but true I do not have faith in the WY Game and Fish to facilitate this management shift. A major reduction in nonresident and outfitter pressure is what the herd needs to produce multiple monsters again. A frustrated lifelong WY resident. I wholeheartedly agree with your answer to our ailing mule deer population here in WY. I grew up here and other than 4 years in the Marines and 4 years in CO for school I hunt Mule deer across the state. I personally hadnt taken a mule deer buck for 6 years until last year for the very reasons you explained. I have been professionally guiding for 5 years in the Sheridan area and can say that something needs to change, soon, if we are to have good quality populations of our states native deer again. Thanks and hopefully the Wy G&F will start to listen. Regarding wolf management and overall elk numbers in my home state of Montana – not all hunting areas are in dire-straits. Let me tell you why; pockets of hunting exist that have greater numbers of deer, elk and other big game than FWP projections call for. These areas are in relative proximity to known and documented wolf packs. In my opinion they exist because those of us who saw the future of poor wolf management have stepped outside the boundaries set by federal and state “authorities”. We simply protect our local hunting. Some of us practiced – and continue to do so – a zero tolerance to wolves in areas we hunt and recreate in year long. If rules and regulations to control such predators are so slow in becoming actual hunting tags with a non-predator like big game management plan then it’s doomed to fail from the get go. Wolves don’t stand around and wait for wildlife managers to get past legalities – the waiting and slow court decisions has placed many areas in very bad shape. Those if us who raise livestock and/or live with neighbors who do, don’t see fit to wait in the background while the greenies fight on court. 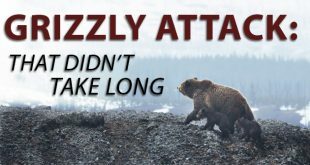 We take action as we see fit – enough of the wolves still exist but they sure fear a man who carries a big stick. Mulies have had a difficult time here in Idaho, Guy. We’ve been on a ‘draw’ hunt basis for years and it has helped. We don’t shoot does [except for very special hunts], and we hunt only bucks in the short 2 week open season. In Southern Idaho, we have few white tails, so mule deer are what we generally hunt and you have to draw to hunt the ‘big’ mule deer bucks. The mule deer population seems to be stabilizing and in some cases increasing. Hopefully, we’ll have a bumper year again in 2015. Thanks for keeping us apprised here in the West. Those folks in the east are primarily interested in white tail hunting and we don’t hear much about Mule deer hunting in all the mags. I wanted to throw out an idea, and see how much support there would be for it. I would like to see a waiting period similar to what we have for sheep and moose, implemented for deer and elk. Game and Fish now manages our hunt areas as trophy or opportunity areas. By doing this they are managing for 2 different age classes. What I would like to see is a waiting period for these designated trophy areas. Perhaps 2 years? To me it does not make sense that we wait 5 years after drawing an area 5 sheep tag, which has almost 50 licenses, yet we can apply for an elk area with 35 licenses every year. If we did this it would increase our odds greatly. If an area has draw odds of 30% and we implemented this, how often could we draw this tag? Anyway, it is something for you to think about. I am 61 and usually hunt deer in eastern MT. I have seen some bad winters, like 96/97 and 2010/11. Deer will make a good comeback if does aren’t killed. Selling too many tags is another reason for decline. A bad winter kill, coupled with EHD, really hurt MT. I know that once you give something up, like OTC’s for resident hunters, it will never return. F & W does not give back once they gain something. I saw this in WA state when I lived there. Start by pushing for the elimination of doe and cow tags, and increase point restrictions and see how that goes. Guy, You’re “Dead on” with this plan…….. Same goes for Idaho….. They have proven time and again that they have no clue on management tactics! I’m a native Oregonian and have been rifle hunting here for 30 years. In my first years of hunting, there were no GMU’s here. You either bought a general western tag or a general eastern tag. Season was long and there were plenty of Mule Deer around on the east side. Blacktail populations were so high that the first week of season was forked horn or better, then the season went to “hunters choice” and you could kill any Blacktail you saw for nearly a month. In the late 1980’s we had a couple of very harsh winters and winter kill was massive. The first year I hunted our regular spot after those winter kills, the population had plummeted so far so fast that in a week of hunting we only saw 6 deer…no bucks! Oregon then implemented a lottery system for the east side and some GMU’s were immediately nearly impossible to get tags for, including the one I had grown up hunting. Mule Deer populations have continued to decline here since. The very next year, that unit went to lottery for archery too! Argh! 2) The Whitetail population has recently been exploding. Whitetails were endangered in Oregon for decades. All of a sudden they are taking over the east side. As a Muley lover, I’m concerned about what that might mean for the Muley numbers. As an avid hunter, I’m happy to have a growing deer population of any sort. I have dreamed of taking my dad on a WY hunting trip for years and am finally in a position to be able to do so, but if we do, I’ll be sure to focus on Whitetail. I’m not at all impressed by Oregon’s “management” system for Mule Deer. It is clearly not working. Perhaps they need to put Mule Deer on the endangered list until they rebound…? Hunters can always chase Whitetail in the meantime. It certainly tastes good! My dad killed his first Whitetail here a couple of years ago and loved it! I wish you luck in WY and will gladly sign any petition you put forward regarding responsible game management. My opinion is that the responsibility lies in the hands of hunters at least as much as it does F&G officials. We must make ourselves heard and be willing to suffer some loss in hunting privileges in order to save our beloved sport for future generations. No hunter I have ever met is interested in seeing the extinction of the species. Hunting is in my blood and I miss it terribly when I have to miss a season, but I will do whatever it takes to help restore Mule Deer to their native habitats. Personally, for Oregon, I would like to see Mule Deer put on the endangered list until their numbers can improve significantly. In the meantime, also reduce the number of lottery tags given out for Whitetail so that their populations continue to grow as well. As far as predators go…I don’t hunt cats or bears, but I certainly think that they should be hunted in a responsibly managed fashion. Nature always has a balance of predators and prey, outside of human hunting. If we as hunters can’t recognize that we are but one piece of an eco-system puzzle, I fear that these issues will never be resolved in time. Creative article ! I Appreciate the info ! Does someone know where my assistant can get access to a fillable Form 8843 2010 form to type on ? Great article! I am from Ohio and enjoy coming to your state for wilderness elk hunting. License fees are getting outrageous. It is not only the cost of the tags that bring $$ into your state, but the amount of money spent on other items such as motels, restaurants, gas, groceries and meat processing. The big picture is that the rise in license fees are costing the total economy of Wyoming and other western states businesses money, not just fish and game. If wolves are the big predator problem, why is the out of state tag so high? If Wyoming wants to eliminate or reduce the wolf problem, why charge so much that non-residents think twice about spending the extra money for a chance at a wolf. Think about it, spending $150 to many is a lot for that minimal chance. I didn’t. But I would guess that 1 out of 9 hunters think this. A $50 non-resident wolf, maybe 6 or 7 of those nine hunters would buy the tag. $300-350 out of every 9 hunters sounds better than $150. It is not only the tag costs of $1,100 but the other $1000-1,500 each we spend in your state every year we visit.